There are things that words cannot describe. 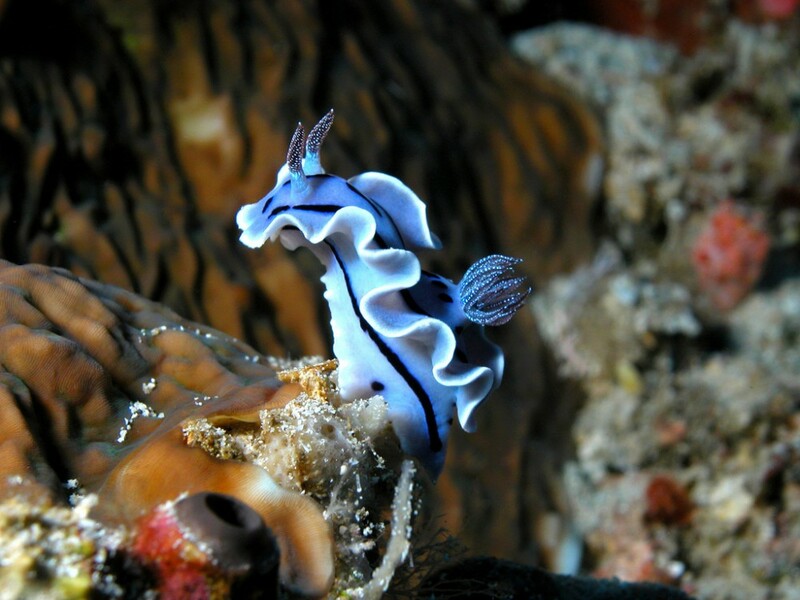 That’s why I have looked for a good video that could show at least part of Bunaken National Marine Park wonders. The incredible biodiversity, beautiful corals, rare fishes, graceful turtles. There’s so much to discover in this underworld environment. 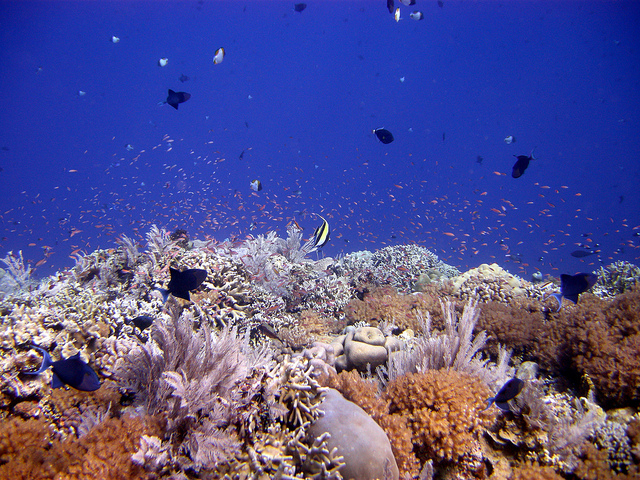 Bunaken National Marine Park offers lots of good diving spots. My favourite ones are Lekuan I, II and III, gorgeous walls where you have great chances to experience encounters with turtles, humphead wrasses, bump-headed parrotfishes, black-tip and white-tip reef sharks, not to speak about the incredible variety of corals. Other diving spots I enjoyed a lot are Bango, Sachiko Point and Tiwoho, where it’s more likely to see some big stuff such as eagle rays, reef sharks and various pelagics. Overall, Bunaken National Marine Park is a true paradise for macro underwater photographers and to see uncommon marine creatures such as leaf fishes, frog fishes, horse pipe-fishes, a variety of colourful scorpion fishes, beautifully coloured nudibranchs and lots more. Only once, a few years ago, I was lucky enough to see the blue ring octopus fish, a small, beautifully coloured and one of the most venomous species. I was really fascinated in looking at this magnificent and so dangerous inhabitant of the sea. No panic however! The chances for you to get a close encounter are really unlikely. Since many dives are mostly quiet, Bunaken National Marine Park is a good place also for the ones who are willing to get Open Water PADI Certificate as well as for those who would like to go further by getting the Advanced certificate. There are lots of experienced instructors that can drive you to discover the incredible beauty of marine life. At Siladen Resort & Spa, where I stayed, the instructor Mario (a very nice Argentinian guy) proposes a nice formula, with theory courses in the evening, right after dinner, so that guests can fully enjoy the day (and the sunset with the view on Manado Tua volcano, lying on the beach with a good cocktail). Like that, getting a certificate is real fun. Back to Southeast Asia. Time for a Burst of Love? It’s always my dream to be able to create such beautiful shots. Anyway, even if you have the greatest adventure it would never considered as great if you do not have those staggering photos. I have followed you from exxxplorer.wordpress.com, now if you don’t mind, this site is already in my bookmark and rss reader. How sweet of you! Can you imagine how happy you made me? Huge thanks for following me for such a long time. That’s the best reward I could ever have expected! A big hug. Great to hear how much you enjoyed Bunaken! 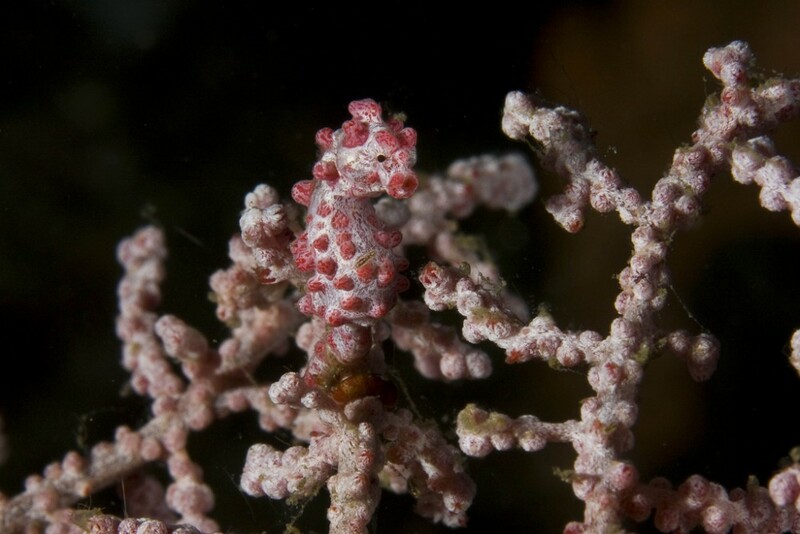 Indonesia is indeed a great place for scuba-divers of all types of experiences and interests. If you are still in Indonesia, I’ll have to recommend Raja Ampat, another excellent diving spot in Indonesia.